Today was Day #4 of Chocolate, Seeds and Berries Theme Week. The de Young Museum in San Francisco was promoting an upcoming exhibit featuring the famous painting "The Girl with a Pearl Earring" by Dutch painter Johannes Vermeer. 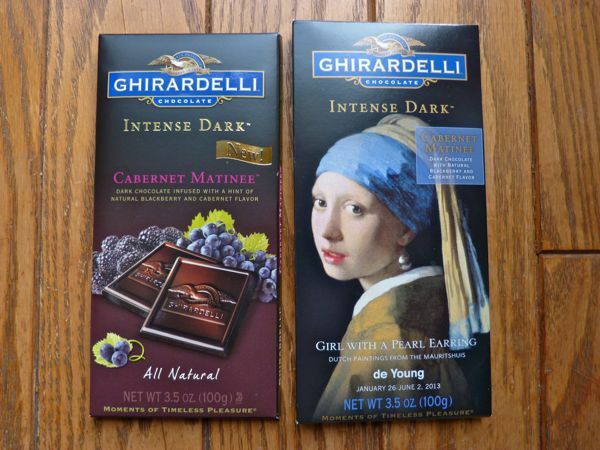 Through an agreement with the Ghirardelli Chocolate Company (San Leandro, CA), the de Young Museum store was selling a specially packaged Ghirardelli Cabernet Matinee dark chocolate bar that was clothed in a limited edition outer wrapper -- with a reproduction of the famous painting. 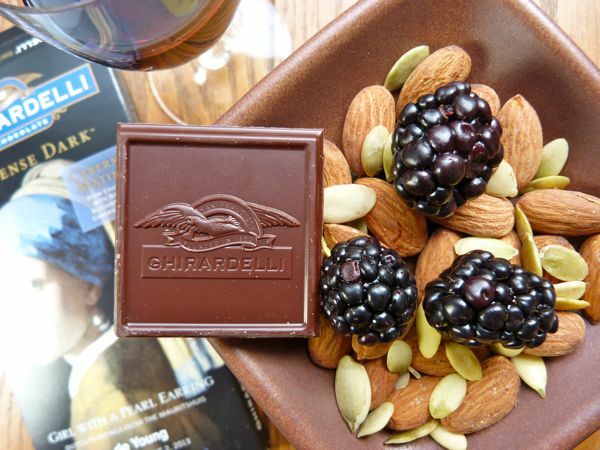 Part of the Ghirardelli "Intense Dark" series, the Cabernet Matinee bar was infused with "a hint of natural blackberry and cabernet flavor." I did not care for the added flavoring(s). In fairness, both wine and berry flavors are tricky to manufacture and integrate with chocolate. 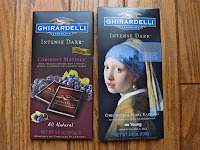 I've found chocolate is often better eaten with, or paired with, whole food or beverage items in the same tasting, but not in the same chocolate. To test this theory, I paired this bar with a small glass of California Cabernet (red wine), fresh blackberries, and a small tapas plate of almonds, and pumpkin and black sesame seeds. 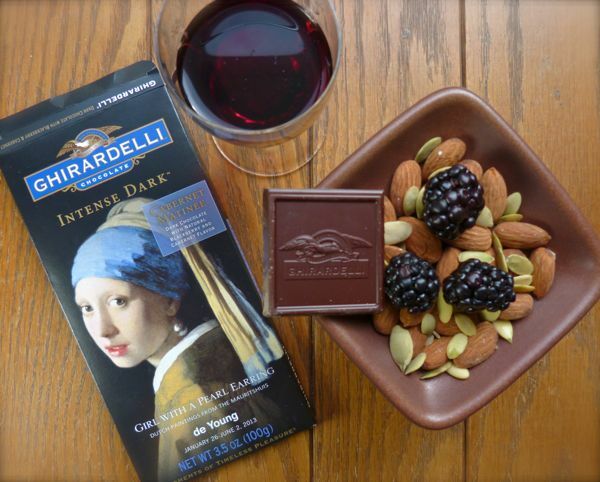 The dark chocolate was smooth, and paired nicely with the Cabernet wine and the fresh blackberries. This pairing also seemed to improve the flavor of this bar. 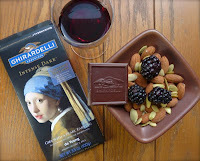 Ghirardelli also has some recipes and pairings on their site worth a look. With apologies to a certain musical: Life is a cabernet my friend, life is a cabernet. And a little chocolate doesn't hurt either.